A trip to the casino can provide a great deal of enjoyment and excitement, but it is important to know the rules of the road before you go, and to respect your self imposed limits. The tips included in this article can help you make the most of your next trip to the casino. • Never put more money than you can afford to lose at risk. This is the cardinal rule of gambling. It is fine to head to the casino for enjoyment, but it is important never to gamble with more money than you can afford to lose. Setting a limit, and sticking to it, is essential. • Keep your stash in one location, and any winnings in another. Keeping your winnings separate may be the best way to force yourself away from the tables a winner. Play your stash, and if you come out ahead, so much the better. Keeping your winnings separate is a winning strategy for most people. • Try taking only half the money you are willing to risk. That way if you win you will be ahead, and if you lose you will have money left to play another day. • Never be greedy. Greed is the enemy of every gambler, and greed can cause even the most cautious player to bet more than their limit. Greed can also cause you to stay at the table or slot machine even if you know you are on a cold streak. The self imposed advice to "get even then get out" is seldom followed in the real world or virtual casino. • Be realistic about your odds. Whether you are playing table games, hitting the slots or playing the ponies, it is important to remember that the odds are with the casino. Look upon your gaming as a fun pastime, sort of a video game for adults. If you win a jackpot, great, but the jackpot should not be the goal, since the chances of winning are somewhat remote. If you go to the casino expecting a big win, you may be tempted to overspend while in pursuit of that goal. 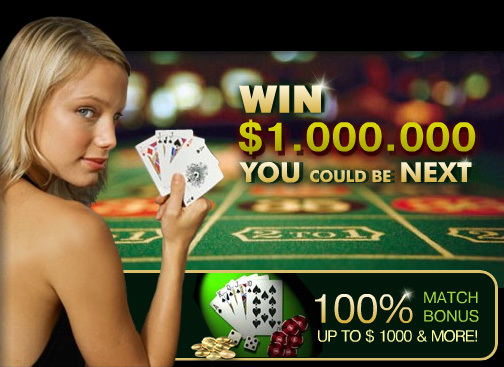 • Sign up for a player card even if you do not frequent the casino. A player card can provide many important benefits, from free slot or table play to free meals and entertainment. In addition, casinos sometimes offer prizes and bonuses just for taking the card. It pays to sign up for the player card in every casino you enter.